Swanpool Local Nature Reserve must be one of the few places in Cornwall where you have a reasonable chance of getting a photograph of a Water Rail. They are normally not the easiest of British birds to photograph because they seem to spend their whole life skulking in reed beds. Consequently if you do get a glimpse, it’s more often than not partially obscured by reeds. Either that or the light is too poor to freeze a shot. 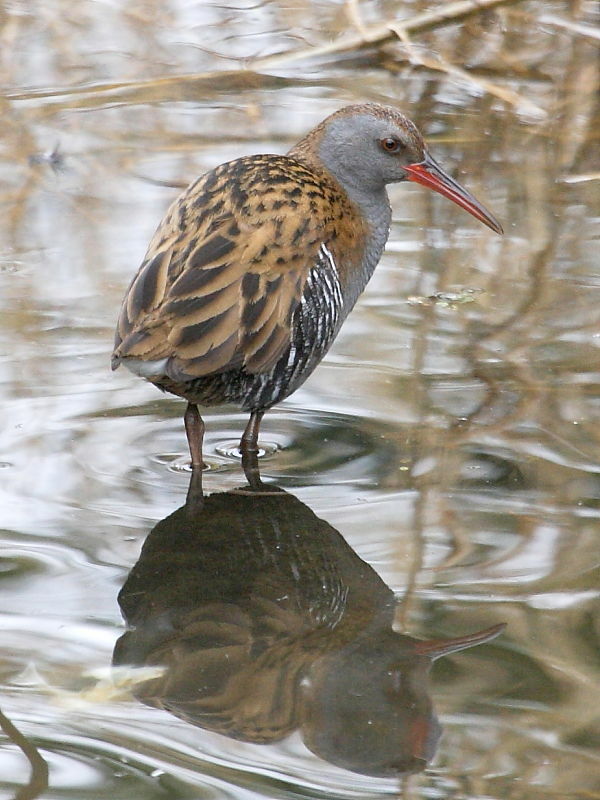 However, the Water Rails here appear to be becoming less timid and accepting the presence of people feeding the other waterfowl. One of the two I photographed this morning was feeding on leftover bread on the edge of the reed beds. Light was as ever a problem and I was forced to shoot at a ISO speed of 800 to get an acceptable shutter speed.